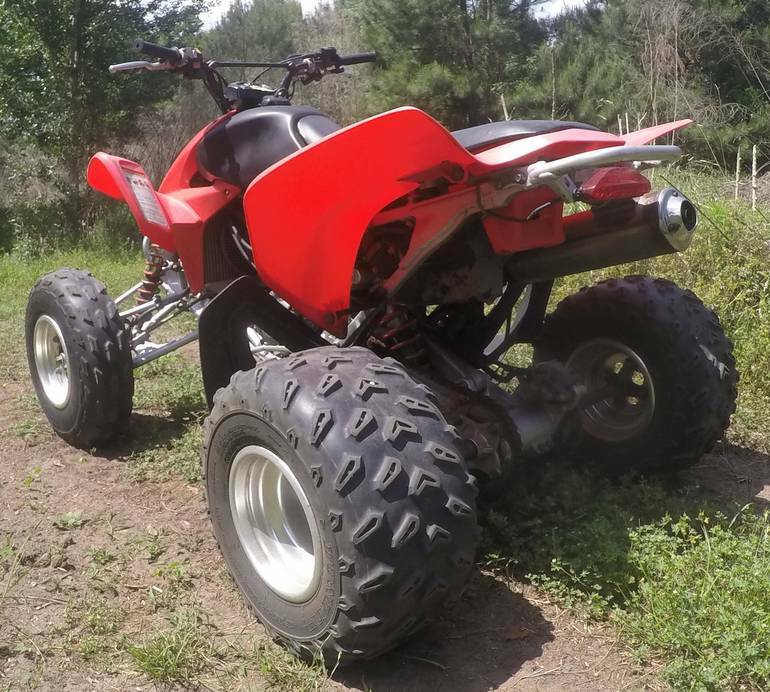 2004 HONDA TRX450R, With this high-performance sport model, Honda sets the class standard for superb handling, excellent power and durability. 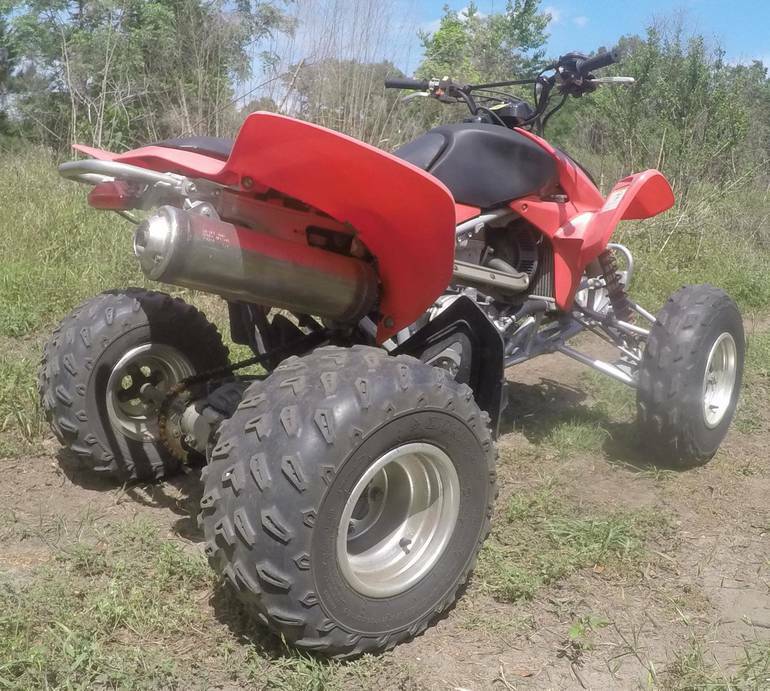 Powerful purpose-built ATV four-stroke 450cc liquid-cooled four-valve Unicam engine is based on the award-winning CRF450R motocrosser's. 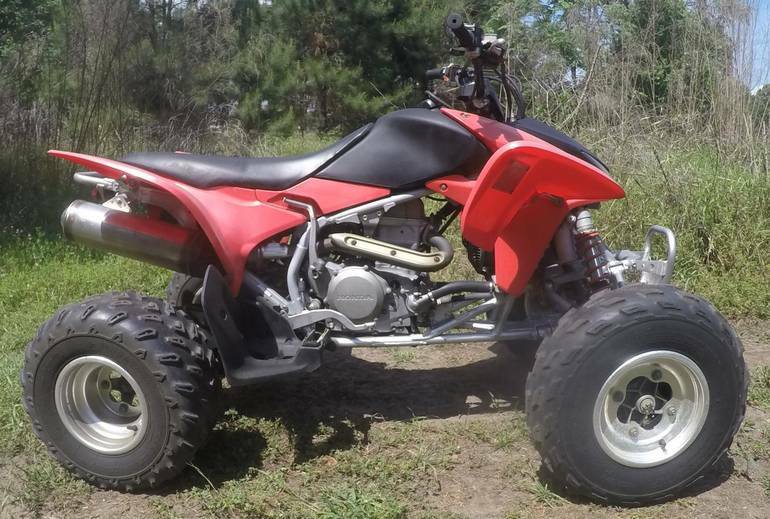 Compact, lightweight engine designed specifically for ATV usage is worthy of its CRF heritage. 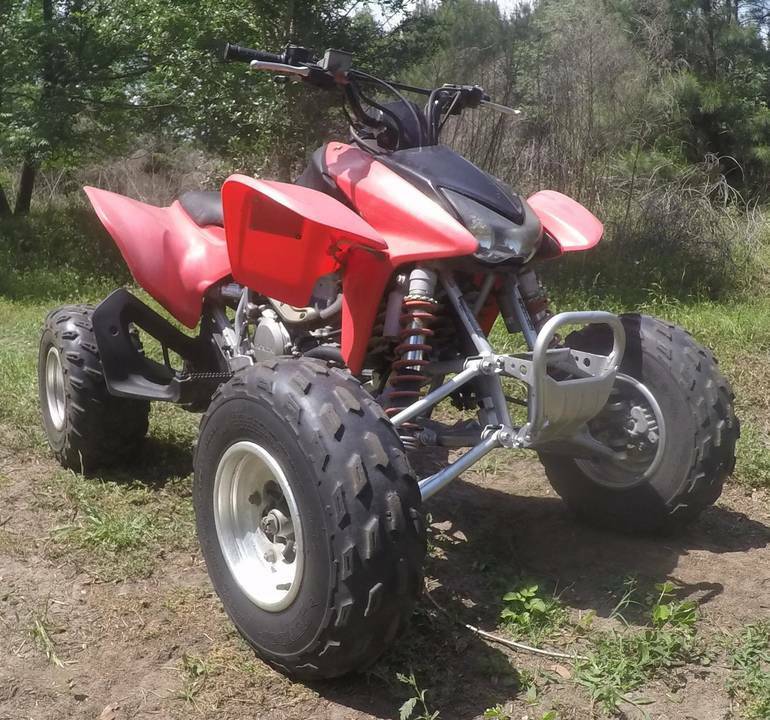 This has a manual clutch transmission and is FAST! 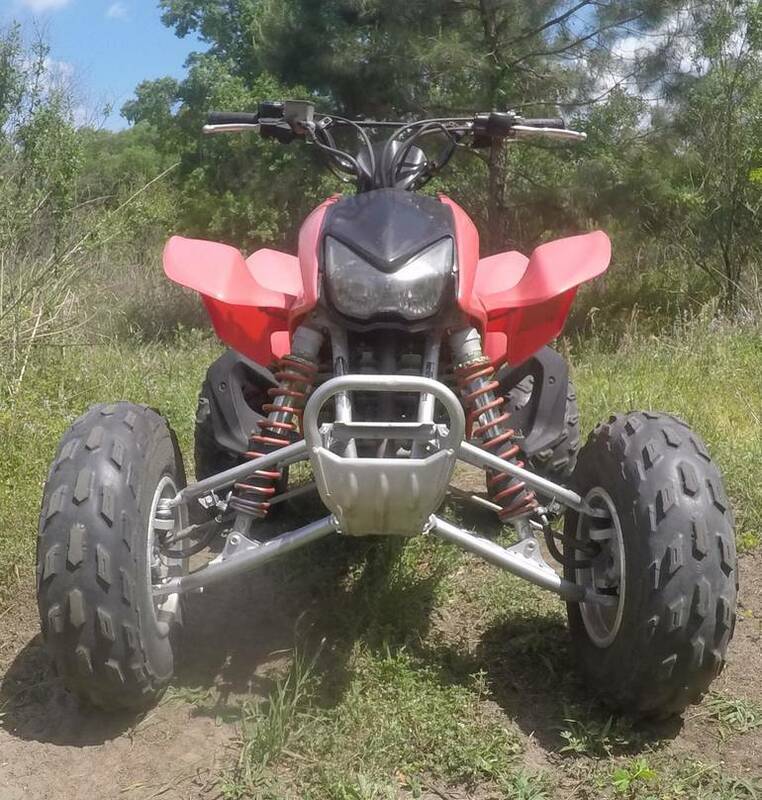 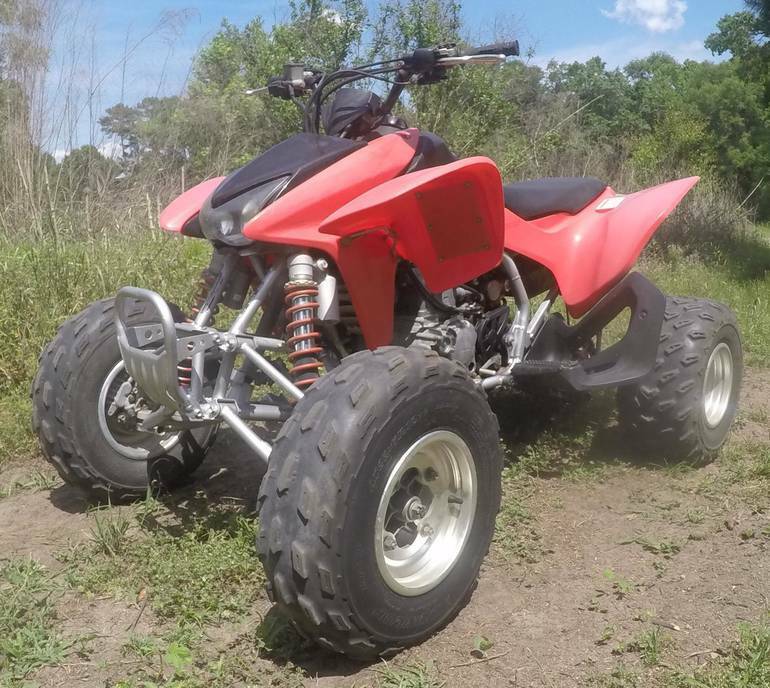 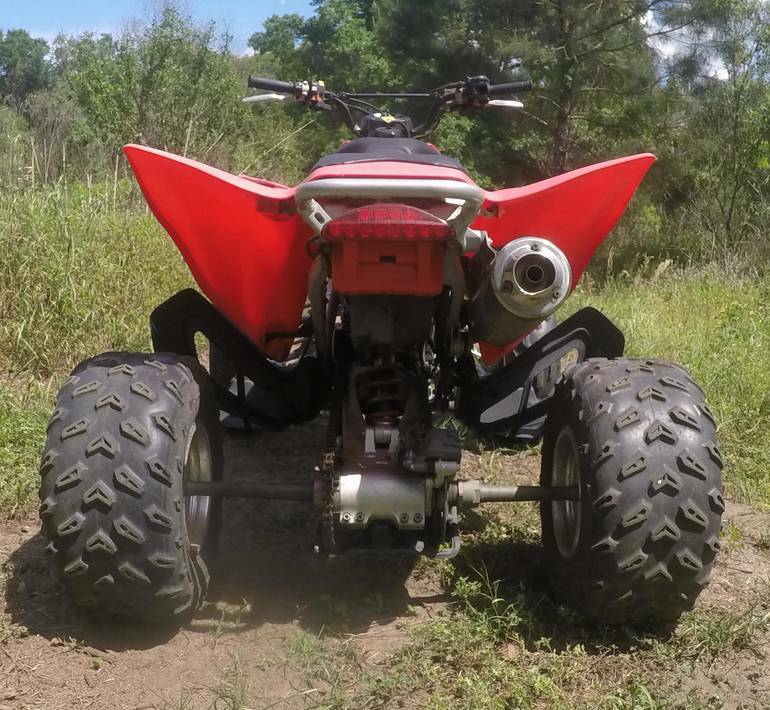 Come by and check out this racing style ATV today, or contact our INTERNET DEPARTMENT for more information. 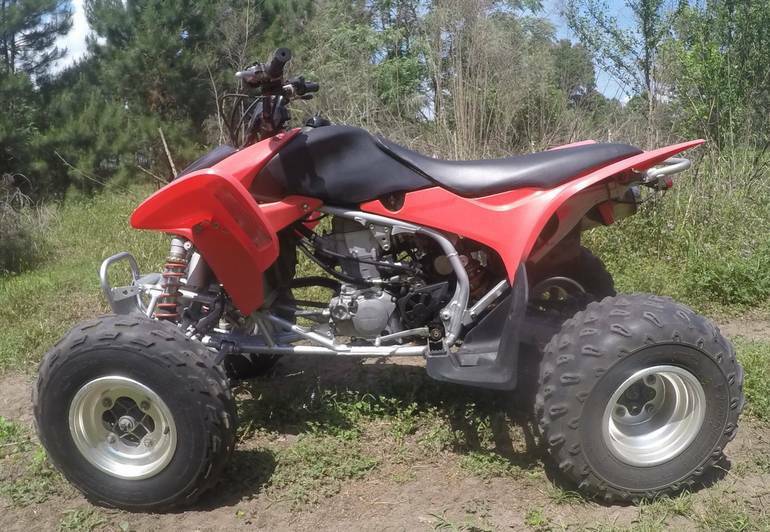 All Honda pictures are kind of Honda HD motorcycles picture was taken, including motor fuel gauge, engine, engine mounts, tires, fuel tank, the car handles, lights and so on, 2004 Honda TRX450R full-screen viewing,2004 Honda Motorcycles today Price: $3,495 .